Few moviegoers would doubt that Rogue One: A Star Wars Story is one of the year’s most eagerly awaited movies. After all, cinemagoers’ appetite for new Star Wars movies is at an all-time high after the first movie of the Disney era, J.J. Abrams’ The Force Awakens, became a blockbuster in December last year. And it looks like Disney is looking to release a Star Wars movie yearly from now on, with a spin-off movie about smuggler Han Solo planned for next year, and director Gareth Edwards Rogue One hitting the theatres in December this year. Rogue One will be a prequel to the original Star Wars movie, explaining how the Rebel Alliance got its hands on the Death Star plans that Princess Leia famously put inside R2-D2 in Lucas’ 1977 classic movie. And Rogue One looks likely to be the prequel movie that many Star Wars fans have longed for, after Lucas’ own prequels failed to generate much excitement in the past. The upcoming Rogue One is one movie that could certainly live up to its premise, though, despite the fact that the film underwent extensive reshoots this summer, due to the fact that the first cut was considered a bit too serious by movie executives. 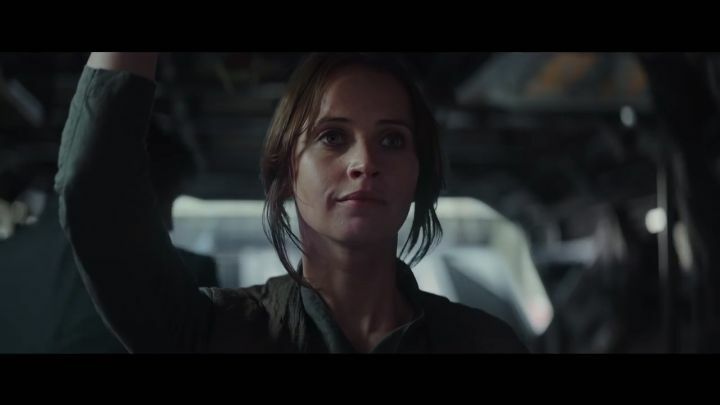 Although as director Gareth Edwards proved with his 2014 film Godzilla, he can bring depth and nuance to his movies, and judging by Rogue One’s latest trailer (see above) this might yet be the most complex and interesting movie in the saga to date. Also, the cast features some pretty great performers like Oscar winner Forrest Whittaker and Felicity Jones (who wasn’t half-bad in Ron Howard’s Inferno alongside Tom Hanks). But since Rogue One’s release date is just around the corner, though, we’ve got less to wait to find out whether this movie will be a success and turn out to be a Star Wars movie to remember when it finally hits the theatres this December.